Most of us rely on Google Maps to find directions when we don't know the way ourselves. Maps defaults to showing you the fastest route based on the data it has at its disposal. Although, maybe that's not the way you want to go. There's some good news if you always have to set preferences for routes like avoiding highways or tolls. Maps now remembers them. Until now, you had to set your avoidance options (tolls, highways, or ferries) every time. That gets annoying if you live near something you want to consistently avoid. Users of Maps have been asking Google to do something about this for years. There's a post in the AOSP bug tracker from 2011, as well as several from 2013 in the product forums. Well, now Google has listened. Here's what Google reps have said about the change. 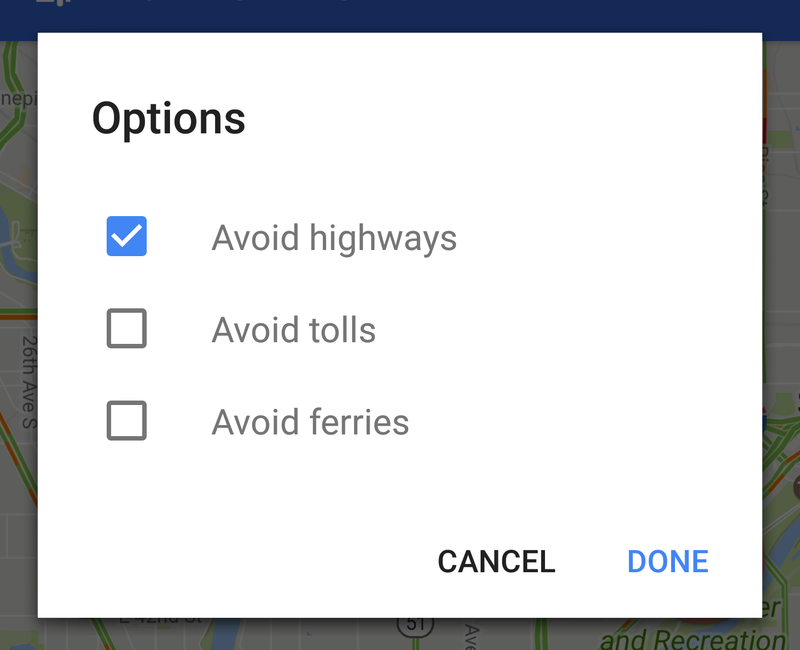 Google Maps users wanted the ability to save their preferences when looking up directions (avoiding tolls, ferries, highways, etc.) in Google Maps. Now you can! On your Android phone or tablet, your settings are now saved automatically. They will be remembered the next time you use Maps. It looks like this change went live in the last few days, so give it a shot on your device. We've tested, and the settings under "Route options" are saved between sessions. So, you only have to choose which routes you want to avoid once. That also means you have to turn it back off if you want the fastest overall directions again. Most people will probably prefer it this way, though.